Improve all your English language skills – speaking, listening, reading and writing. Start when you want to and study for a few weeks, a few months or a whole year. Course includes 15 hours of tuition per week plus optional afternoon programme. We encourage students to participate in the afternoon activities, as one of the biggest advantages of studying an English language course in the UK is the opportunity to practice conversational English every day with those around you. Improve your English skills and gain an internationally recognised qualification for work, for university admission or just for personal satisfaction. Course includes 15 hours tuition per week within a General English class plus early morning examination preparation programme. Work towards the IELTS score that you need for job, for university admission or for personal satisfaction. Course includes 15 hours per week within a General English class plus early morning test preparation. You will receive an IELTS course book as well as a General English course book. Our qualified exam and test preparation teachers are trained specifically to help you achieve the best possible IELTS test score. 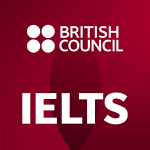 You can join the IELTS Preparation Course any Monday, having arrived at your accommodation on the Saturday or Sunday. We encourage students to participate in our afternoon activities, as one of the biggest advantages of studying an English language course in the UK is the opportunity to practice conversational English every day with those around you. This course is perfect for those who would like something a little more intensive but who do not plan to take an exam. Especially suitable for those whose level is Elementary, Pre-Intermediate or Intermediate. Course includes 15 hours tuition per week within a General English class plus early morning sessions. We target areas in which you are keen to improve. Our Summer School venue – Moorlands College – is beautifully located just 2.5 miles from Christchurch and inside the New Forest National Park. Beaches, forest, the Purbeck Hills and Bournemouth are all very close by. This special programme is designed for those that would like to spend time practicing and improving their English and enjoying a rich mix of traditional English sights and experiences in the company of more mature students. We offer carefully designed programmes for groups of students, aged 12-18yrs wanting to take English language courses in the UK. We accept as few as ten and as many as 40. Most groups stay for one week but two, three and four week programmes are also possible. We welcome small groups of teachers and can offer tailored professional development over a period of a few days or a couple of weeks.